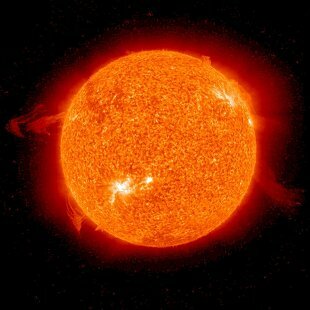 Sol is the star that the planets & comets in our solar system orbit around. The Sun is spectacular when viewed using a solar filter or dedicated solar scope for sunspots & prominences. For a list of solar eclipses, see Upcoming solar eclipses. For a list of planetary transits across the Sun, see Transits of Venus & Mercury.